Standard « SP Green Energy Ltd.
E.g. company, releases, search or subject. 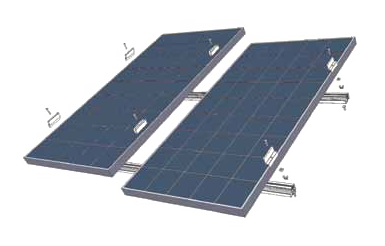 - 2 cross beams per module row. - Fastening to the substructure using roof hooks, hanger bolts or special fastenings. - Module clamps for framed modules are also available with potential equalization.